A Model Moment has teamed up with Coco Chocolatier of Edinburgh to bring you a very special Easter gift. I have personally picked three of my favourite flavours to be able to treat one of you lucky people to, either to keep to yourself or gift to loved ones this Easter. 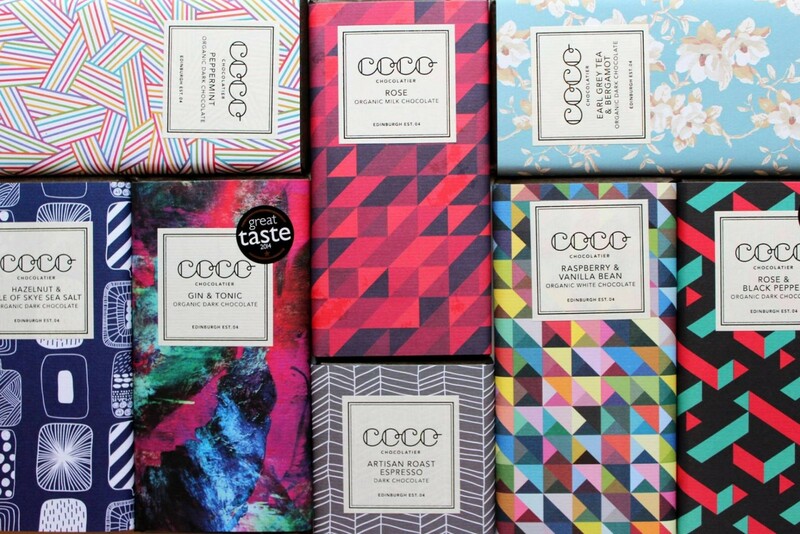 Coco is an Artisan Chocolatier based in Edinburgh that specializes in making ethically traded, organic and most importantly delicious chocolate. 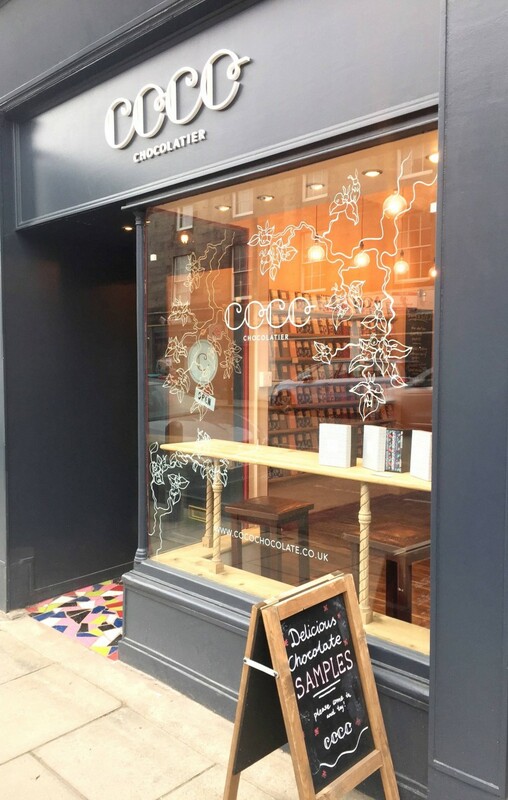 Established in 2004 as one of Scotland’s first chocolatiers, the company now has three gorgeous shops at Bruntsfield, Broughton and Stockbridge. 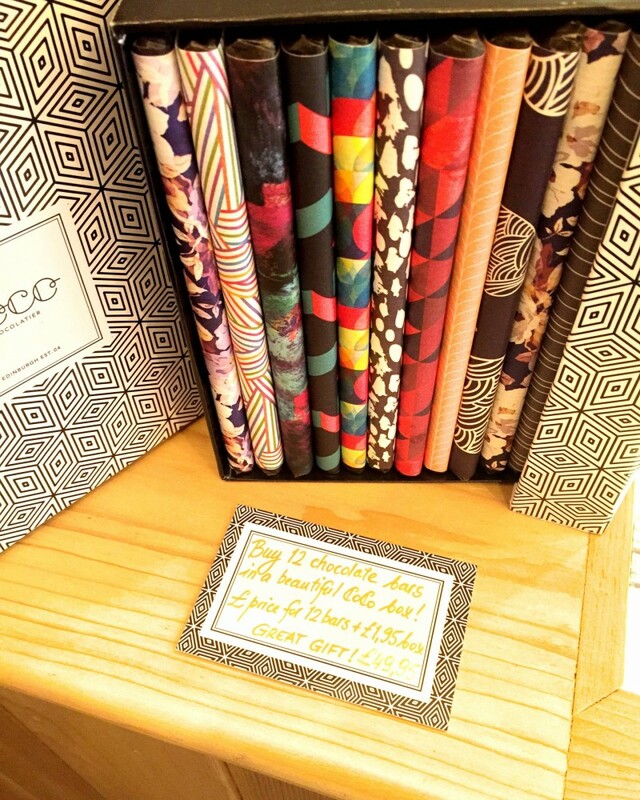 Coco’s chocolate is organic, hand-crafted and hand-wrapped. They only use the highest quality ingredients and a single origin chocolate from Dominican Republic. The flavours are well balanced and surprising, with lovely textures and beautiful cocoa richness, including some wonderful locally sourced ingredients such as Artisan Roast Coffee, Isle Of Skye Sea Salt, Haggis Spice and seasonal Easter specials! Each flavour is worth trying for the beautiful packaging alone. Our Easter Giveaway includes the delicious ‘Earl Grey & Bergamot’, ‘Lavender’ and ‘Hazelnut & Isle of Skye Sea Salt’. There best sellers are their award winning ‘Rose & Black Pepper’ and ‘Gin & Tonic’, there is a flavour for everyone so it is definitely worth popping in for a visit to one of their shops where you can try a free daily sample (don’t tell anyone I told you …). All you need to do to enter the competition is follow this link and Like, Share and comment on the post who you would like to share this Easter Giveaway with by 12pm on Easter Sunday 27th March. Enjoy!